Dusty Rhodes passed away on Thursday morning and the wrestling world is crying. In fact, most anyone that ever came in touch with the man is crying. He was that rare person that simply oozed charisma and when he came on the television or walked into the room, you stopped to see why. 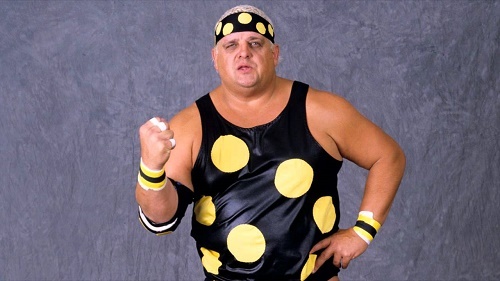 Dusty Rhodes was not your everyday wrestler. He did not have the Adonis physique and he certainly was not what most would call good looking in the traditional sense. Dusty was the common. Dusty was you. Dusty was me. Dusty was “The American Dream” in every way. It was for this reason that Dusty was such a huge star. People related to Dusty in a way that can only be replicated through looking in a mirror. He had a way of making you feel every punch given and taken and when he won or lost, you won or lost with him. Such is the essence of a WWE legend and wrestling icon. I had the pleasure of personally meeting the man and can say with all honesty that what you saw on television is exactly what you got in person. Though he was a bit softer and gentler in real life, he was still The Dream. He was still big Dust. As he passes on to Dine with the Kings and Queens once again in Heaven, I want him to know that he changed a young boy’s life in North Carolina. He made me a wrestling fan and gave me countless hours of entertainment at a time when it was desperately needed. I suspect there are countless others like me out there that could say the same thing. You will be missed, old friend, like “nobody’s business, if you will” and most importantly, you will live on as a legend forever. John Cena, WWE Star, Building Movie Career – Hopes New Exposures Will Bring More Fans To WWE! John Cena Makes Young Child’s Wish Come True: WWE Star Encourages Nick Santillo To Fight On! WWE WrestleMania Reading Challenge 2015 Launches: Gives Students Chance To Win A Trip To WrestleMania 31!